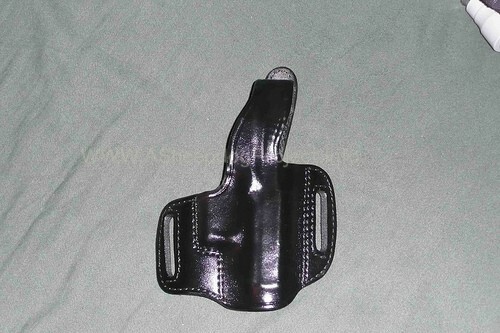 This review will cover the Five most important features of any holster. 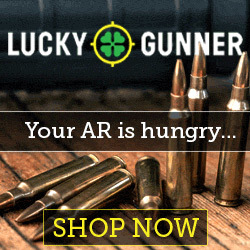 Comfort, Durability, Function, Concealability, Finish. This holster is about a 4 out of 5 for comfortableness on my scale, I found that the 3 and 4 o’clock positions are the most comfortable. The holster when riding on my motorcycle or in my truck was not noticeable, I found my self checking every so often to make sure it was still there. Many of you might find that your body shape and size will be a factor on how comfortable it is on you. I’m a big guy at 5’10, and 245. The outer leather on this Don Hume holster is smooth and pretty tough, I have had this holster for about 5 years now and it has resisted scratches and gouges pretty well. 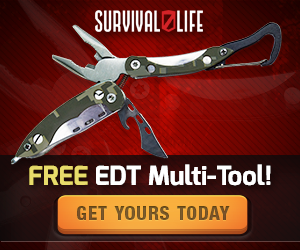 It is made with a metal reinforced thumb break with recessed snap and double stitched sew lines at stress areas. 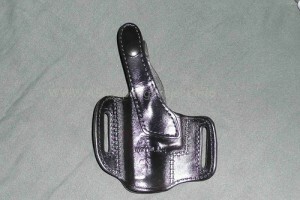 The holster is well molded and retains the gun as well if not better than some holsters with retention screws. This holster rides with about a 15 degree forward cant. The belt slots will fit any belt up to 1 3/4″ wide. The H721 also has a body shield/thumb break that does a pretty good job of protecting the side of the body from the guns frame. Like every good holster it was tight fitting at first and took some time to break-in. Once broken-in though, I found the holster fairly easy to put my weapon in and take out as well as put on or take off. The holster is easily concealed, the outside of the holster is smooth, even with raised sections for external gun mechanisms that are molded into the leather, so it doesn’t catch on clothing. I experienced a little printing of the gun with casual wear. Keep in mind that a large or long shirt will conceal the gun better. The H721 holster is cut and sewn very well in my opinion. As said before it has no sharp edges or places to snag the holster on the clothing. Overall I think this is a great choice for the quality and the money if your looking for an OWB for your carry option.